By drawing on a very large number of German sources, many of them previously unpublished, Jack Sheldon throws new light on a familiar story. 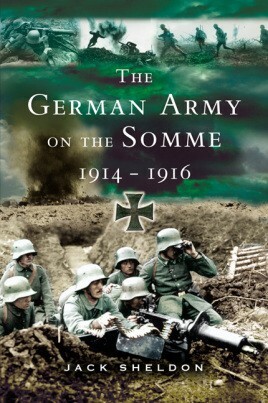 In an account filled with graphic descriptions of life and death in the trenches, the author demonstrates that the dreadful losses of 1st July were a direct consequence of meticulous German planning and preparation. Although the Battle of the Somme was frequently a close-run affair, poor Allied co-ordination and persistence in attacking weakly on narrow fronts played into the hands of the German commanders, who were able to rush forward reserves, maintain the overall integrity of their defenses and so continue a successful delaying battle until the onset of winter ultimately neutralized the considerable Allied superiority in men and material.